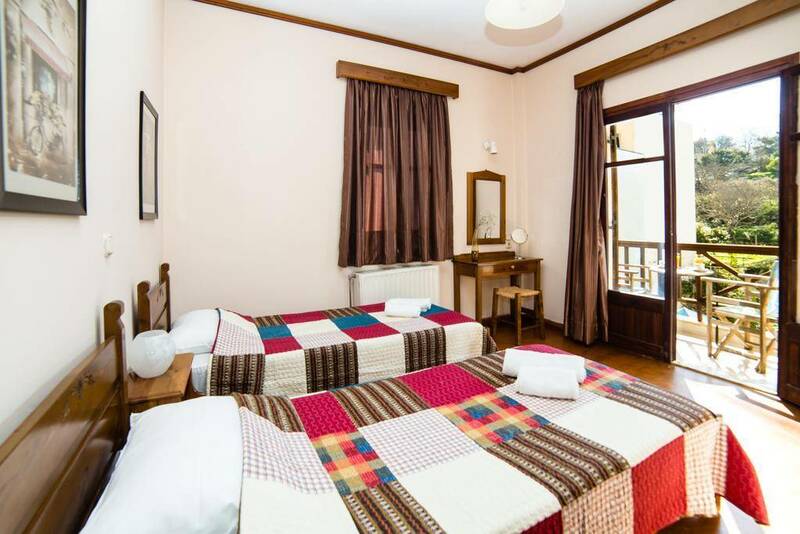 The villa has two separate levels that can accommodate up to 14 people. 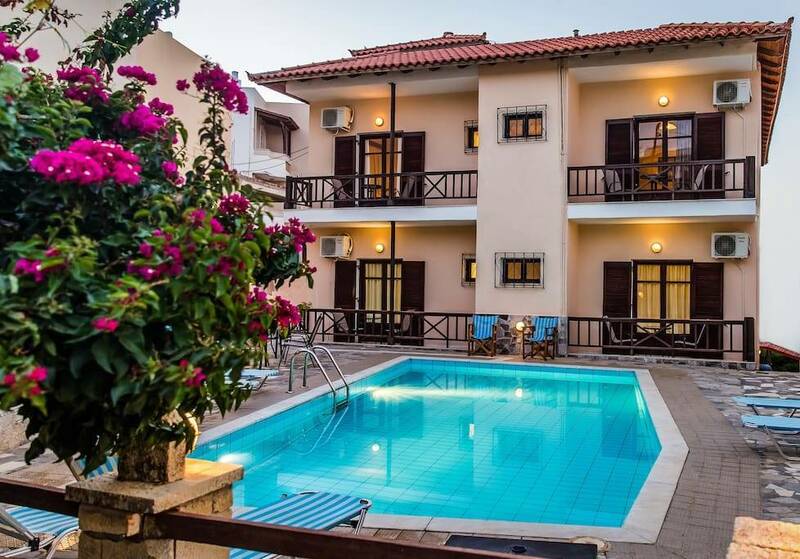 Each level has 3 bedrooms (linen and towels available), a fully equipped kitchen (dishwasher, microwave oven, toaster, coffe-machine, kettle), living-room, bathroom and WC and wide balconies with a fantastic view of the sea. All other electrical appliances that will make your stay pleasant and easy (such as air-condition, TV set, washing machine, iron, blow-drier) are also available. 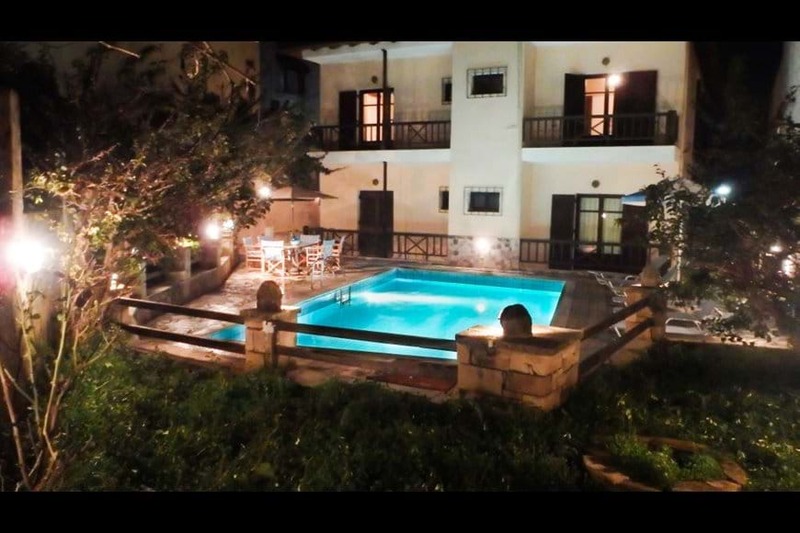 Outside, there is a comfortably arranged swimming-pool area where you can relax and also enjoy your meals. Near the swimming-pool there is a shower and one of the two barbeques of the villa. Furthermore: -Two parking spaces - Baby cots and baby/small children related furniture (upon request) - Free internet (WiFi?). Roussospiti A small charming village with a wonderful view of the sea, situated 6 km away from Rethimno. There is a bus connection with Rethimno. A mini-market caters for your every-day needs, and you can treat yourselves at the local tavernas. There are also sportsgrounds (for the more active), playgrounds for children, a church worth visiting and an archaeological site. Guest access: Access to all areas of the Villa except the storage rooms. Interaction with guests: We shall be there for your arrival and departure and we shall also be available at any time for any information you may need. Guests have access to two parking spaces in the grounds of the villa; extra cars can easily park right outside. Security There is one fire-extinguisher for each level of the villa. a fully equipped kitchen (dishwasher, microwave oven, toaster, coffe-machine, kettle), living-room, bathroom and WC and wide balconies with a fantastic view of the sea. All other electrical appliances that will make your stay pleasant and easy (such as air-condition, TV set, washing machine, iron, blow-drier) are also available. 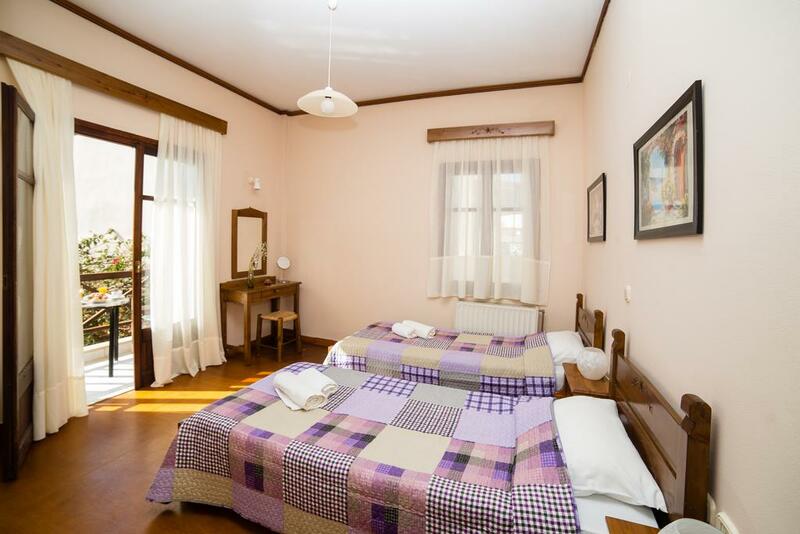 Amarandos Villa is situated right at the heart of the traditional quarter of Roussospiti. There is immediate access to mini-markets and taverns, bus stop, sports grounds and a playground. Guests are asked to respect the property and to avoid causing damage. Moving around: At a 30 m distance from the Villa there’s a bus stop for the bus to Rethimno and the nearby villages. Taxis for any destination are available upon arrangement. We provide transfer service from the airport to the villa for any group size, with mini buses and buses. We provide Rent a car at the airport or at the Villa with full insurance (no risk) no credit card new cars and unlimited miles. We also can provide tours with group or only for your own group to visit different places and beaches on the island that you didn't know, try traditional cuisine and participate on Cretan events.